Tennessee Historical Marker, Mansker Creek, Goodlettsville. 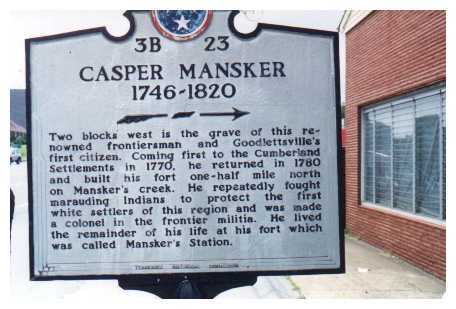 IN MEMORY OF CASPER MANSKER 1746 - 1820 GOODLETSVILLE'S FIRST CITIZEN HE ERECTED HIS FORT, CALLED MANSKER STATION, IN 1780, 1 MILE NORTH ON MANSKERS CREEK. HE WAS LAID TO REST IN THE COMMUNITY HE SERVED FOR 40 YEARS. 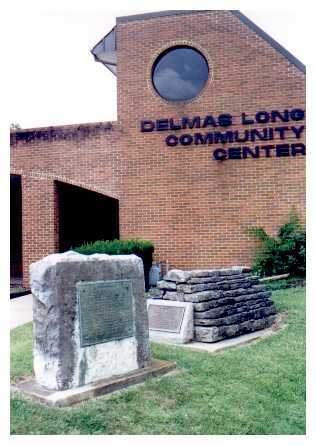 HIS REMAINS WERE MOVED TO THIS SITE BY THE GOODLETTSVILLE MEN'S CLUB, 1956. 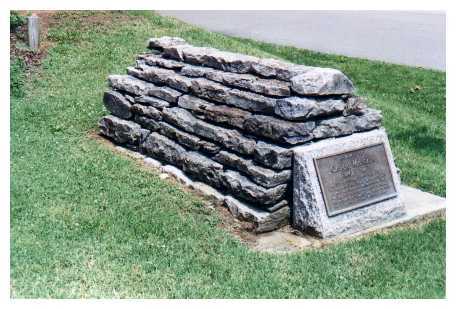 Kasper was originally buried at the site of his station, but in 1956 his remains were disinterred and moved to this location in Goodlettsville's Peay Park. 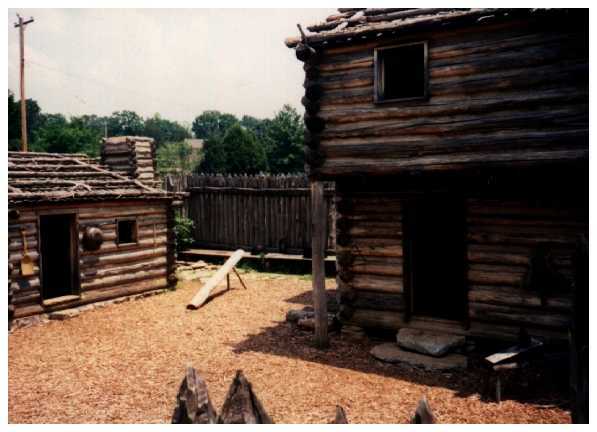 "Two blocks west is the grave of this renowned frontiersman and Goodlettsville's first citizen. 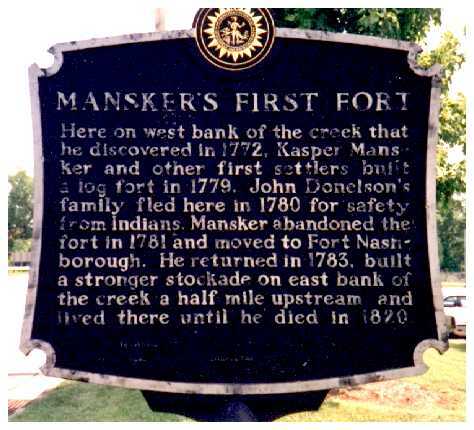 Coming first to the Cumberland Settlements in 1770, he returned in 1780 and built his fort one-half mile north on Mansker's Creek. He repeatedly fought marauding Indians to protect the first white settlers of this region and was made a colonel in the frontier militia. 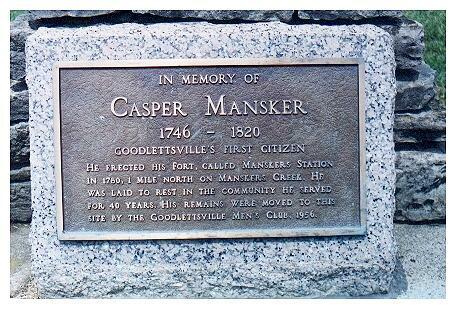 He lived the remainder of his life at his for which was called Mansker's Station." 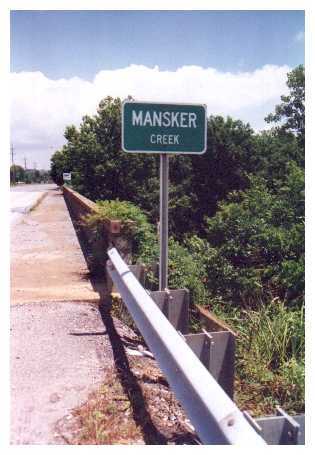 "Here, near Mansker's Lick, Casper Mansker established a station of the Cumberland Settlements in 1780. 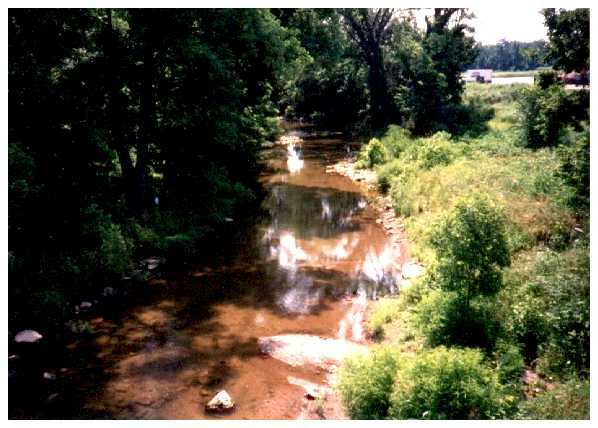 The road connecting with Nashboro was built in 1781. 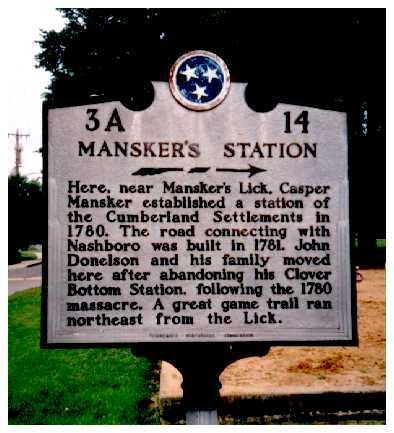 John Donelson and his family moved here after abandoning his Clover Bottom Station, following the 1780 massacre. A great game trail ran northeast from the Lick." 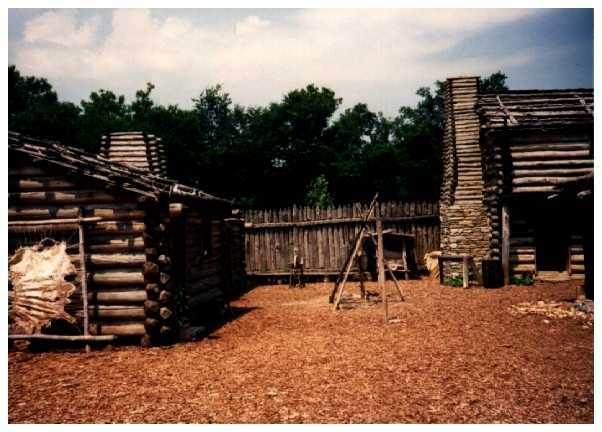 "Here on the west bank of the creek that he discovered in 1772, Kasper Mansker and other first settlers built a log fort in 1779. John Donelson's family fled here in 1780 for safety from Indians. 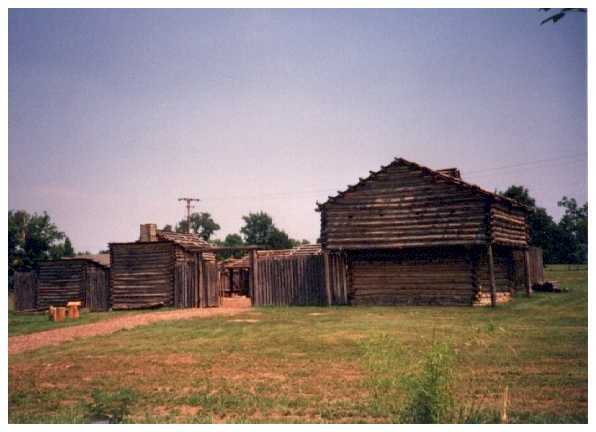 Mansker abandoned the fort in 1781 and moved to Fort Nashborough. 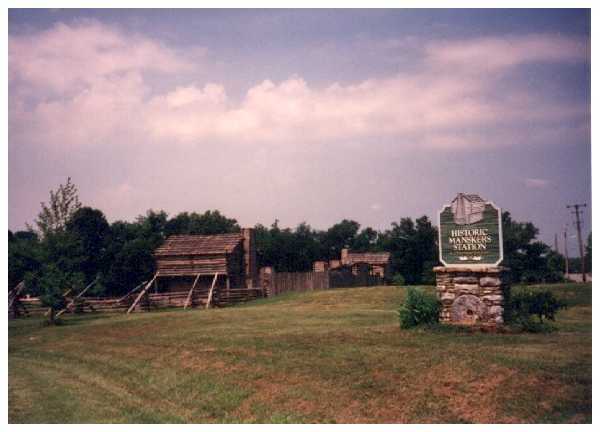 He returned in 1783, built a stronger stockade on the east bank of the creek a half mile upstream and lived there until he died in 1820." 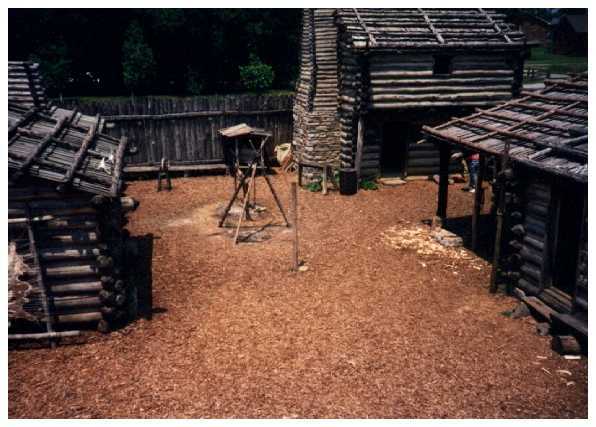 Kasper's first fort stood on the west (right in the photo) bank of the creek less than a mile from where this picture was taken. At Mansker Station, work is still done using only 18th Century tools and plenty of "elbow grease". Everything at the station is authentic for the time period of around 1780. Even the kids get into the act. 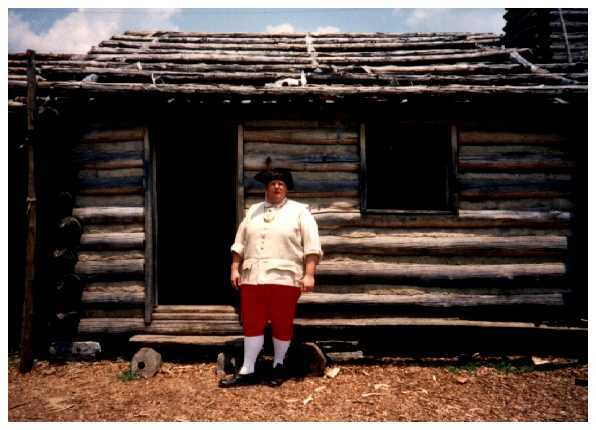 The staff and the volunteers take great pains to dress and act as 18th Century Americans. 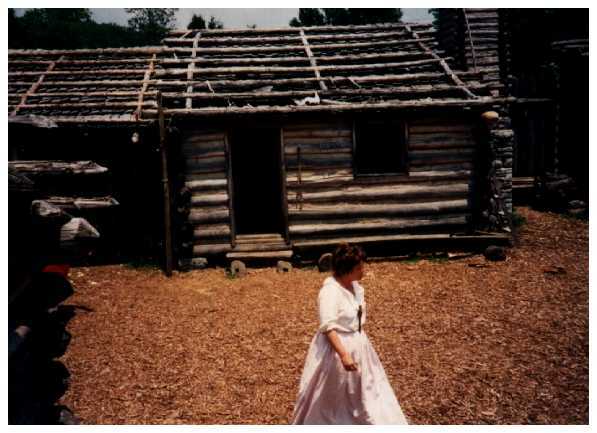 At times they even spend the night to keep "in character" by experiencing the privations of life on the frontier. 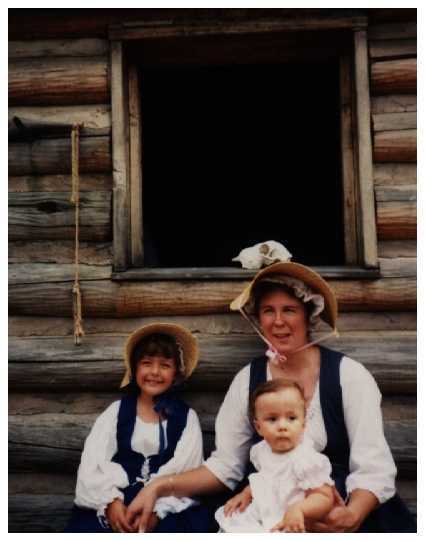 To keep the illusion going that you are in the late 18th Century, all staff and volunteers at the station wear period costumes. 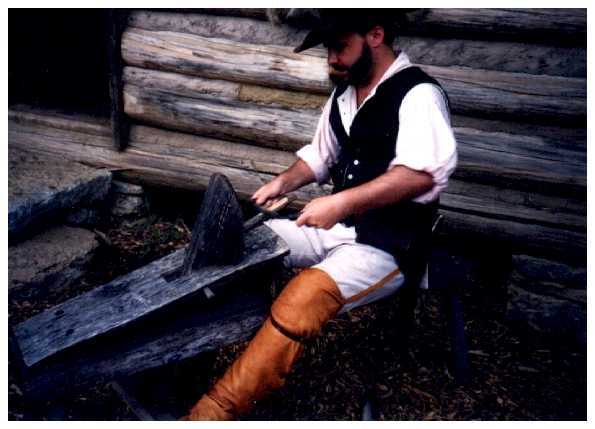 Most of the costumes are handmade, using contemporary tools and skills. 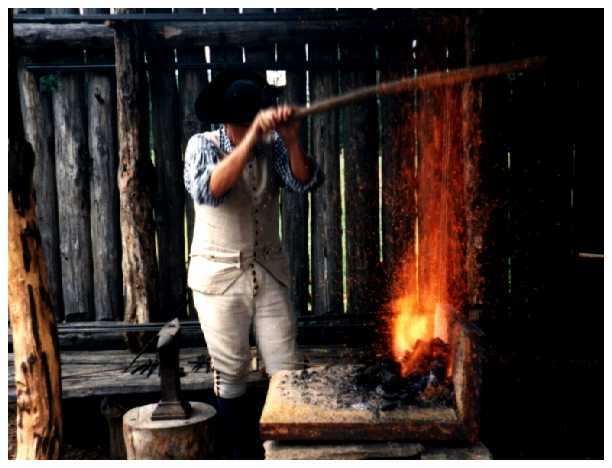 To achieve maximum authenticity, only the methods and tools available in the late 18th Century were used in the reconstruction of the station. 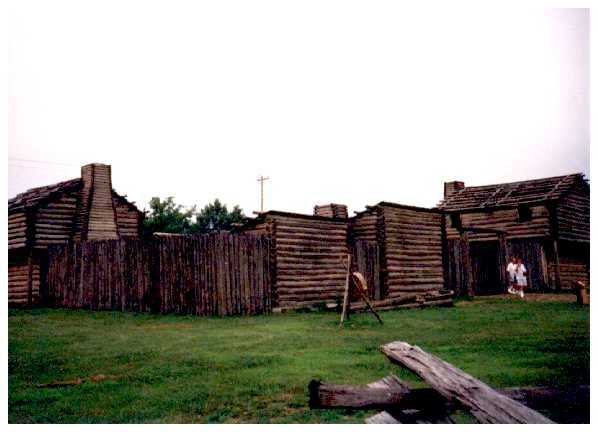 The two-story blockhouse gave a distinct advantage to the inhabitants of the station in case of attack. 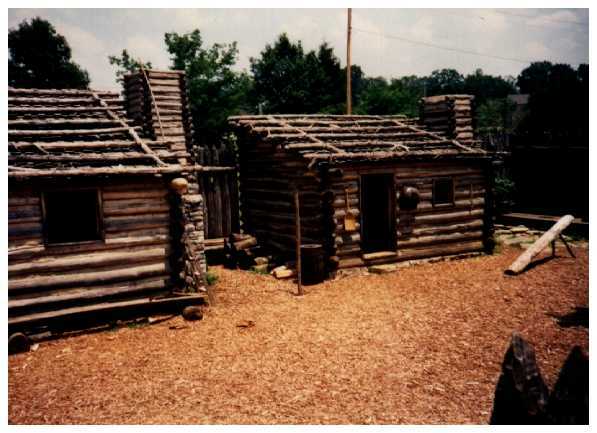 In the reconstruction of the station, the builders used detailed descriptions of numerous forted stations in the Cumberland valley. Note the hide drying on the wall of the cabin.